From an article published in the Portsmouth Herald. KITTERY, Maine — The town’s seven unions are working without a contract as of Tuesday, when a stopgap contract signed last year expired. In April 2013, the Town Council ratified a two-year contract, nine months after the last one expired. One year of the contract was retroactive to July 1, 2012, and one year involved the year from July 1, 2013, to June 30, 2014. The agreements signed at the time called for 2 percent cost-of-living increases for each of those years. At the time the contracts were signed, Town Councilor Jeff Thomson raised a number of issues he felt were not addressed, including employees receiving birthdays as paid holidays and keeping Town Hall open on Fridays (it is currently closed on Fridays). Colbert Puff this week said she could not discuss specifics of contract negotiations, but said in general they centered on wage and benefit increases, including health care costs. A $70,000 contingency to cover any potential contract costs was approved by the council in the fiscal year 2015 budget. Unions represent the police supervising officers, patrol officers, dispatch, sewer employees, public works employees, professional administration and professional clerical workers. She said she has been meeting “regularly” with representatives of all seven unions and expects to continue to do so until agreements are reached. The unions are represented by Teamsters Local 340 of South Portland. 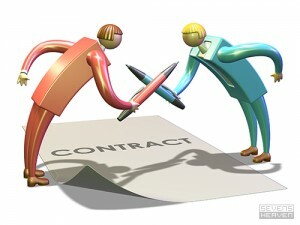 Colbert Puff said it is “not uncommon” for contracts to extend beyond the deadline. A provision in the current contract allows workers to keep all current wages and benefits until a new contract is ratified. The Town Council will be required to act on any completed contracts. This entry was posted in General Town News on July 3, 2014 by Chuck Denault.